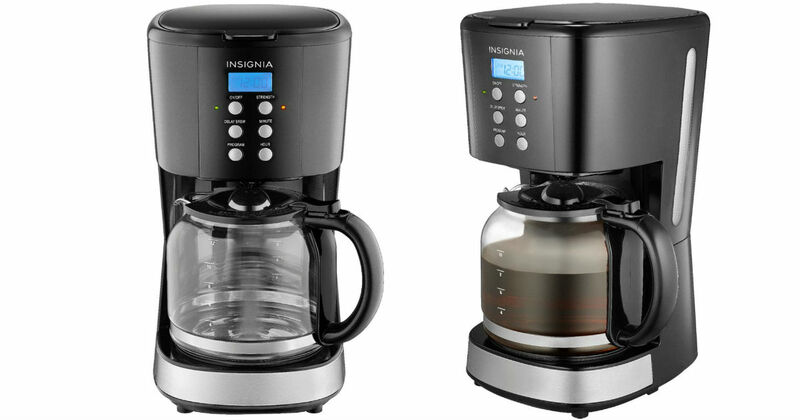 Today, 3/19/19 only, Best Buy has the Insignia 12-Cup Coffee Maker for only $14.99 (Regularly $39.99). The programmable settings make it easy to have your coffee ready when you wake up, and the adjustable strength options provide convenient options for light or robust results. FREE shipping with a $35 or more order or choose free store pick-up if available near you.